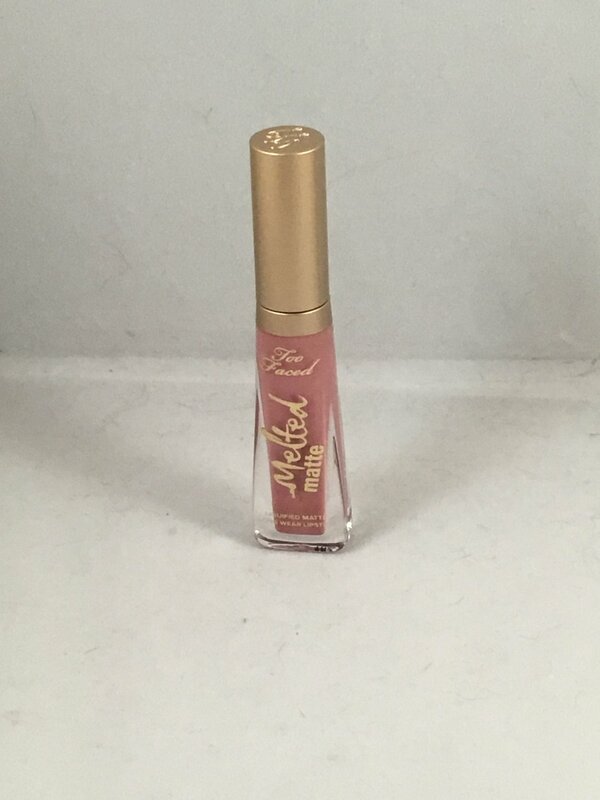 Too Faced Melted Matte Liquified Long Wear Lipstick travel size - Queen B. "This innovative formula glides over lips like a gloss but dries to an ultra-matte opaque finish. Infused with a no-sting lip plumper and filler for color that always looks rich, full, and kissable." This is brand new, did not come in any packaging. This is the TRAVEL SIZE at 3 ml / .1 fl oz. The full size (7 ml / .23 fl oz) retails for $21.